of great daily information on us. We are also very proud to also be approved to offer international students the opportunity to be educated in the United States from the Department of Homeland Security (INS). Very few Beauty Schools have this ability. 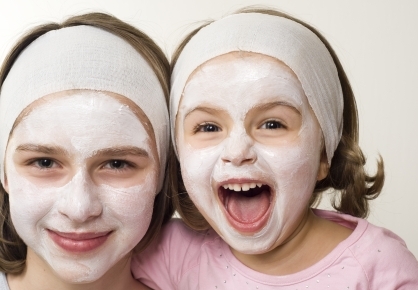 This “excellence in education” is also provided in Massage Therapy training, Skin Care and Nail Technology. After over 80 years in business, the original “LaJames College” located in Mason City Iowa is (in our opinion) one of the best places to receive professional beauty school and massage therapy training in the world. As a result of our efforts, our cosmetology college and beauty school graduates consistently land great entry-level (initial) jobs in the industry they were trained for, with many LaJames College graduates opening their own business and salons – even right out of beauty school! Our Courses offered are a combination of over 85 years of curriculum development plus we are teaching the international curriculum of Pivot Point. The best of our system and an international system rolled up into one college. We are the only college recognized as a “Legacy School” in the state of Iowa by Pivot Point. We really are a one of a kind college. 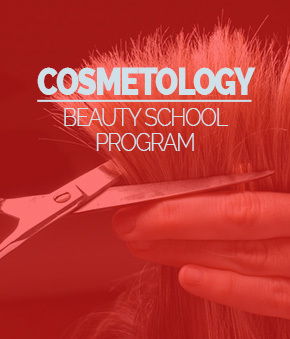 Our Cosmetology - Beauty School Course incorporates 2,100 hours of extensive theory and superior hands-on training. Our Massage Therapy Course incorporates 650 hours of extensive theory & Superior hands on training. 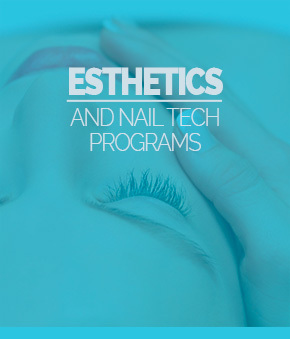 Our 600 hour Esthetics Skin Care Course combine hands-on-training with a complete and exemplary theory class. Our 350 hour Nail Technician Course combines theory lecture and one-on-one training to help prepare our students for graduation. If you are looking for excellence in Cosmetology / beauty school, Massage Therapy training, Esthiology(Spa Skin Care), and Nail Technology Courses, then you really do not need to look farther than the original “LaJames College”. In our opinion, compared to any standard beauty school, the original “LaJames College” differs dramatically. Not only by providing large classrooms and training areas, this beauty school combines over 85 years of training experience along with a U.S. (our own) and an International Training Curriculum (Pivot Point). You receive the Best of Both Worlds. Our instructors have a combined teaching experience of over 125 years. This wealth of knowledge is enhanced with the colleges commitment to provide the best education that they can. More than 22,000 square feet of classroom, clinical space and dorms, we teach students the art of beauty, cosmetology techniques & massage therapy applications, along with related training in nail technology and esthetic’s (skin care) education. The professional environment is both personally enjoyable and educationally stimulating. Each program area in our college has “state of the art” equipment. The beauty school clinic floor is equipped with the latest European design styling stations. Our massage therapy clinic is a modern, soothing “spa like” setting. You will enjoy taking our beauty school courses and our other related programs in our first class artistic institution! “LaJames College” is in the heart of Mason City, Iowa. Mason City is listed as one of the top 100 best small cities in America to live in according to Nerd Wallet. Their methodology for determining their results was based on Afford-ability, Economic Health & Quality of Life. The top 100 list we made was for the entire United States and we were #35 on their list. We would agree, in our opinion, we are located in a wonderful town. Uniquely, this Iowa beauty school has many students in attendance from surrounding states. Our international students come from all over the world. 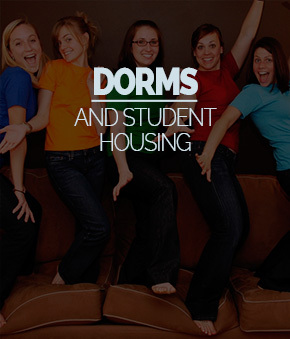 We offer affordable dormitory facilities for our students who like or enjoy dorms to further enrich their campus experience. Other housing options are available. In our opinion, attending LaJames College will be one of the most memorable experiences of your life. Has this always been a dream for you? Call us Today to learn how you can begin a fun and creative career! Susan Rentz’s Facebook Page. 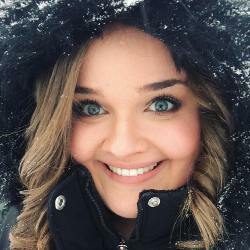 Just Friend Request Her and we will be Connected. Lots of great information on the college’s activities & it’s easy to communicate with us there. “I am a graduate from The Original LaJames College of Cosmetology in Mason City. My experience at LaJames was unforgettable; I went in excited, and ready to start my journey. After having some personal issues, I wasn’t sure if I’d finish school. Talking with Irene Richards (Instructor at LaJames) really helped me, and all of her motivation, and positive inspiration helped me to complete school. 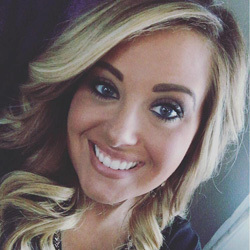 “I attended The Original LaJames College / Beauty school in Mason City and during my year at LaJames I received a great education. 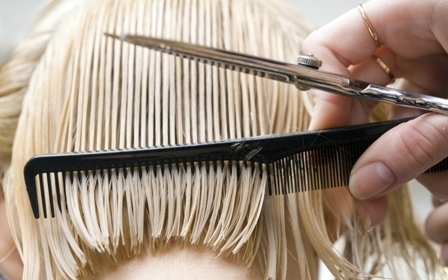 The training made me ready for salon life and prepared me to be professional and successful. The instructors were always willing to help students and always encouraging us! The instructors who were teaching when I went to college in Mason City are still teaching there today, and we have kept in contact over the years. At The Original LaJames College they guided and made sure we were ready when taking our boards and accepting our first job. I chose the LaJames in Mason City because it was “The Original” and they believe and stand behind their graduates. Because of all the tools learned at The Original LaJames College in Mason City I am now living my dream. I came to LaJames College in Mason City Iowa with a dream. I had known from an early age that hair intrigued me. I had a dream of playing a role in people’s lives to encourage them & boost their confidence. I am a people person to the core of my being & cosmetology seemed like the perfect outlet for my creativity, love of hair & passion for people. 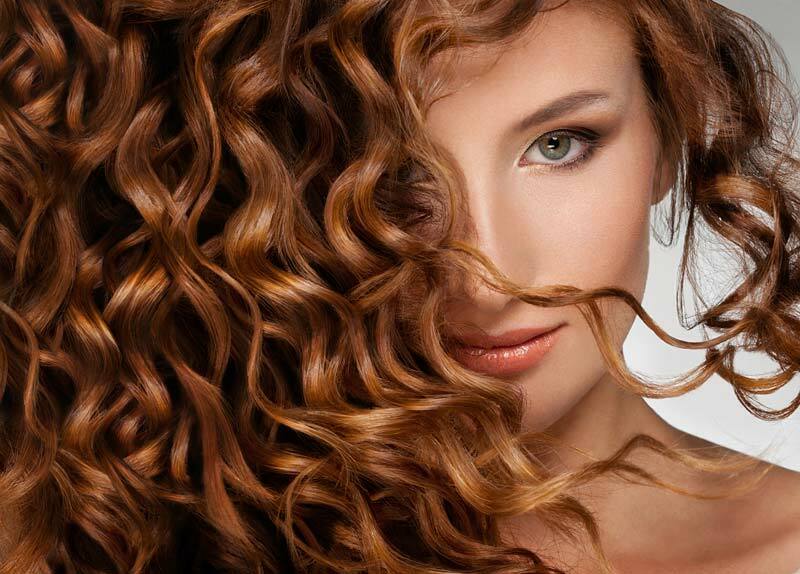 It allows you the unique opportunity to become involved in their lives as they confide their joys and sorrows as you cut, color or style their hair. It’s a joy to serve your community in a way no one else can! At LaJames you begin with an overall glimpse & get to dirty your hands right away in the first eight weeks of level one. This was such a fun & laid back yet informative time. After laying that foundation you continue your classes to build on this but now you are on the clinic floor with clients practicing your new found skills. There is always something new to learn. Every single instructor is amazing, very approachable & patient. They will walk you through the simplest to the most complicated service. They are there to help you! Installing encouragement & confidence in you with a “you can do it” attitude until you are ready to tackle it on your own. It is what they do best! Not to mention the LaJames has the best clientèle base for you to work with to practice your skills. It takes a lot of pressure off of you by not having to find people to work on. LaJames provided me with a solid education to be a professional stylist, a chance to work on my people skills, & gave me confidence that this is what I am supposed to be doing as a career & to get out there & do it! I can’t express my thanks enough for this! Find out more about our courses and see how we can help you in your career and life. Complete the following form and we’ll get back to you within 24 hours (often sooner).